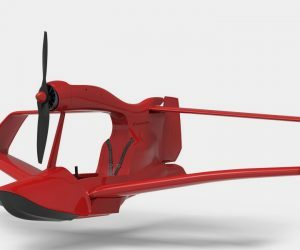 Propelling boys’ toys to whole new possibilities, the FlyNano Electric Jet Ski Plane, might not soar as high as some of its airborne brethren but what truly sets it apart is that this one can be flown sans pilot license. 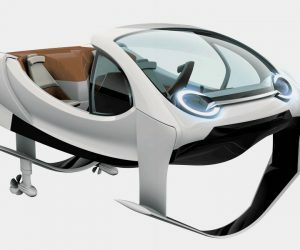 The only catch is still a fun one–it rides a few feet above the water, but who cares about such limitations (if you can call it that) when the wind’s blowing through your hair at 75mph. We’re only three weeks into the year yet this is already one of our favorite things of 2019. 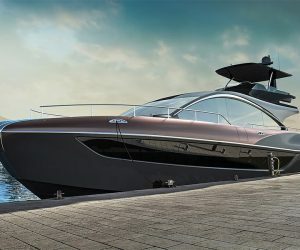 The Lexus LY 650 Yacht is the company’s first, built in collaboration with the Marquis-Larson Boat Group, a 65-foot beast that boasts all the expected Lexus luxury and technology, with three staterooms and several entertainment and lounge areas. Expect to see this beauty creeping over the horizon late this year. The time is right for the Q30 Electric Boat–the 100% electric motor yacht. Made with the primary purpose of enjoyment by experienced sailors and leisure passengers alike, the Q-Yacht offers spacious interiors and touch screen operations at the helm. The hydrodynamically optimized hull produces minimal wakes and a boat that is simple to operate. 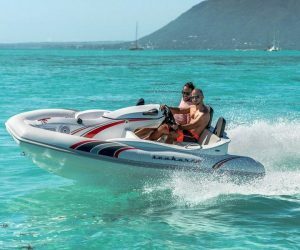 The electric engine provides the smoothest and quietest motorboat on the market. 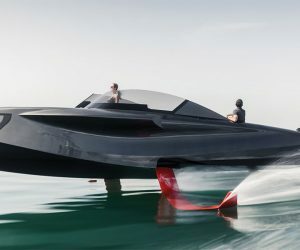 You kind of get a pair of terrific transport modes in one with the fabulous Foiler Flying Yacht that will fling you, part across the waves, part above them, at speeds of 40 knots. 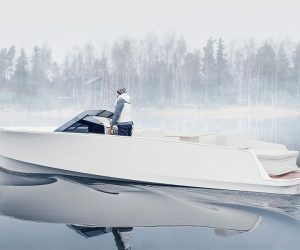 The revolutionary vessel “hovers” at 1.5 meters over the water, propelled by a couple of diesel and electric 320hps BMW engines and customized electric torpedoes.